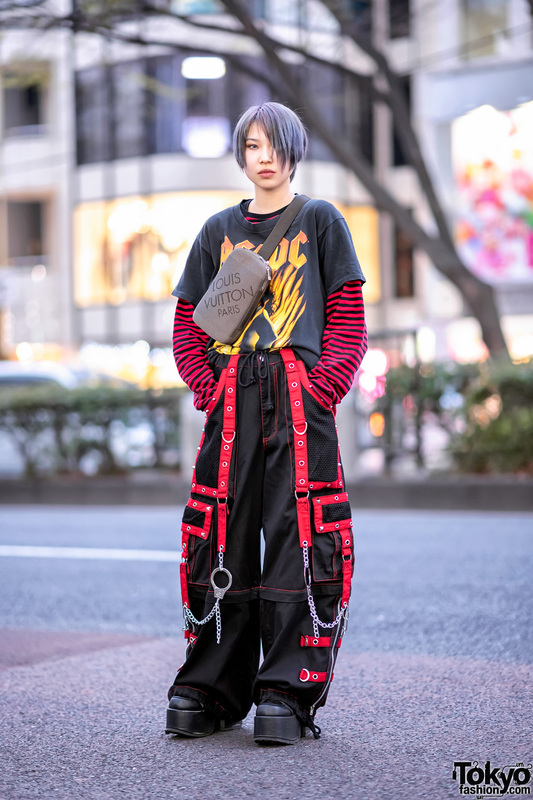 We spotted Chami, who brought major doses of color on the streets of Harajuku. The 21-year-old Japanese art student was difficult to miss in her cropped rainbow furry jacket from Isolated Heroes. 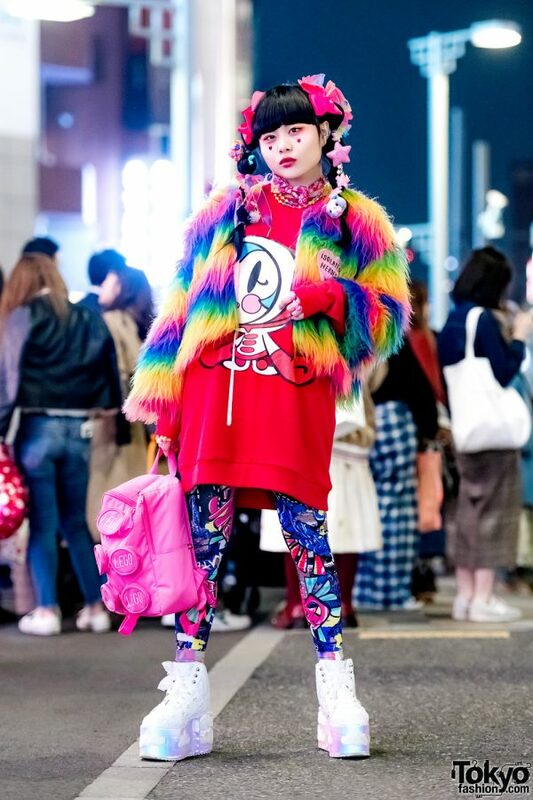 Chami wore it over a bright red sweatshirt with a Super Milk Chan graphic on the front. She styled her look with ACDC Rag printed leggings tucked into rainbow socks and YRU white platform wedge sneakers with glitter embellishments, stars, and cloud appliqués. 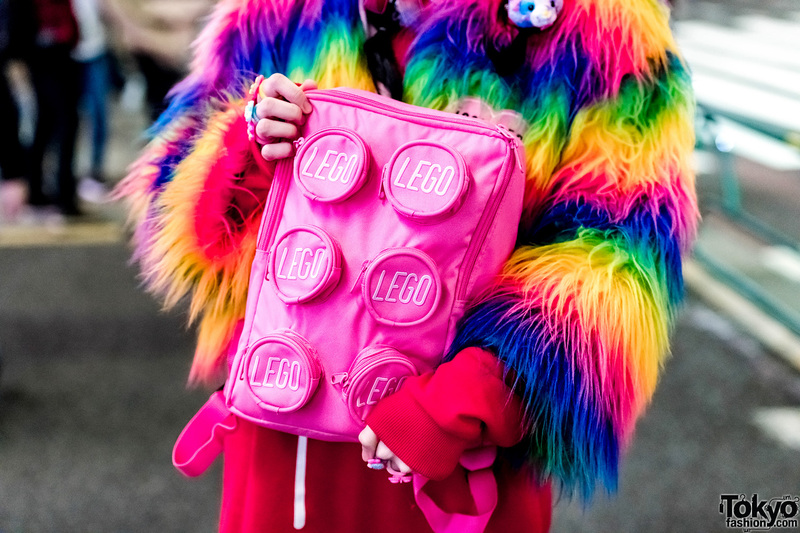 Chami carried a pink LEGO backpack and wore an assortment of accessories from Claire’s and 6%DOKIDOKI. 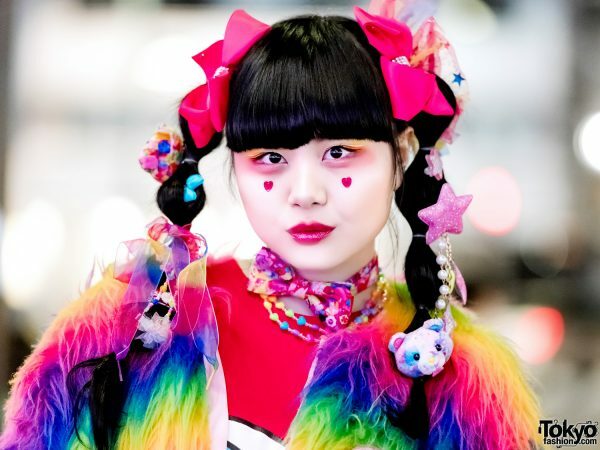 She completed her look with glossy pink lips, tiny red hearts under her eyes, and twin braids adorned with pink bows. 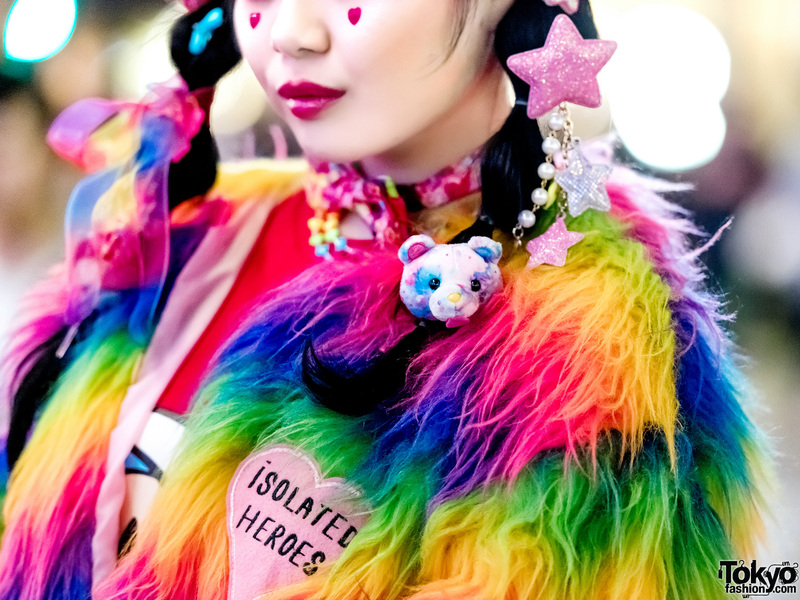 Chami considers 6%DOKIDOKI as her favorite fashion brand, and she is active on both Instagram and Twitter.